I was taking a walk in the garden when I saw a small plant with orange leaves. Even though there were no flowers on the plant, it still looked very beautiful and attractive in the sunlight. These orange colored leaves were rare to my eyes so without wasting time immediately I qlikd this lovely picture. The picture primarily contains three best contrasting colors: orange, green and black. 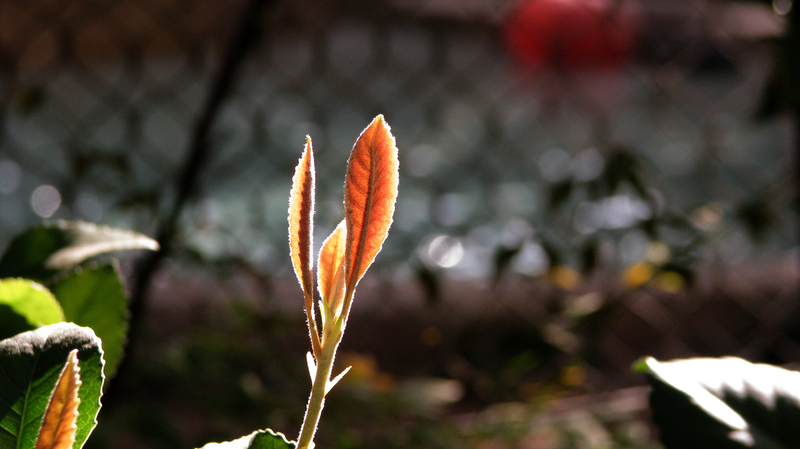 In this photograph the orange leaf is captured using apertures priority mode in neutral lights. The main purpose of using this mode is to open the lens to maximum aperture to get a good exposure of the leaf. This also helps in getting background out of focus which makes the picture less distracting. Selecting this mode helps camera to adjust its shutter speed to ensure proper exposure. Photoshop is used to correct tonal range and color balance. Levels dialog box is used for shadows at 21, midtones at 0.65 and highlights at 251 for a brighter picture. To get a better idea of where to set the endpoints of shadows and highlights, I switch to the Threshold display mode. This is done by holding down the ‘ALT’ key. Levels input slider is dragged inwards by holding down the ‘Alt’ key to get a posterized image to set endpoints. Too much inward dragging of the slider may result in clipped shadows.